A unique mountain hut in the remote wilderness of Iceland awaits finishers of the Laugavegur trail. Like Disney World for nature-philes, the Land of Fire and Ice does not disappoint on adventure, scenic beauty, and a well-organized system of huts. The Laugavegur trail, which stretches 55 kilometers from Landmannalauger to Thórsmörk*, is one of the best hikes in Iceland and is regularly listed as one of the top dream hikes in the world. I solo hiked the Laugavegur trail in July 2014 and was blown away by its surreal landscapes, challenging terrain, intense volcanic activity, and massive (melting) glaciers. *Don’t even try to pronounce Icelandic names. It is futile. 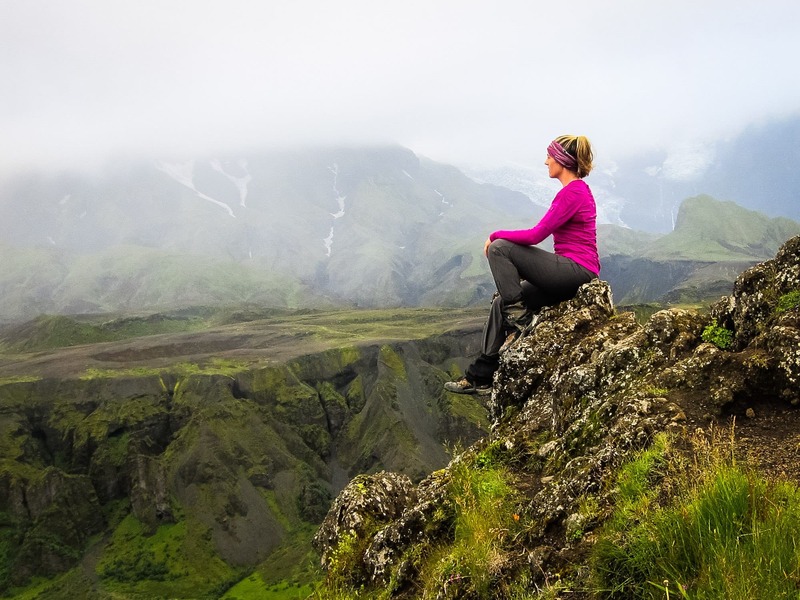 Hiking in Iceland is a bucketlist staple for adventurous travellers, and for good reason. If active steam vents, boiling mud pots, frigid glacial river crossings, and canyons of noxious sulphurous gases isn’t enough to whet your adventure whistle, stay tuned for the weather – Mother Nature displays the full spectrum of her power and beauty in Iceland, and the Laugavegur trail delivers fantastically on all measures. Iceland trekking is a bigger challenge with bigger rewards than I could possibly have imagined from the comfort of my living room! Another wonderful thing about the Laugavegur trek and many other Iceland hiking trails is the mountain huts placed at strategic points along the trail. They provide a cozy respite to take off your boots and enjoy the company of kindred, intrepid hikers while protecting you from Iceland’s unpredictable weather. 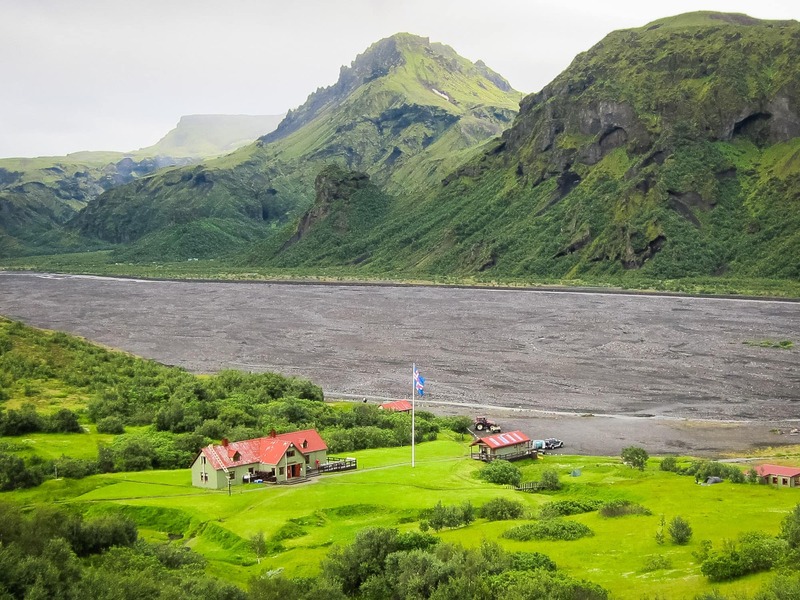 One of these hidden gems is the Langidalur hut, nestled at the confluence of the Pronga and Krossá rivers. Imagine rounding a corner and descending into a lush, verdant mountain valley ringed by icy blue glaciers, having just traversed through four days of technicolor landscapes colored in pink, crimson red, gold, deep orange, and brilliant green. The wonderful Langidalur Hut from a height, Iceland. You will make proclamations to nature, take way too many pictures, and then head straight for the Langidalur hut for a hot meal and warm company. 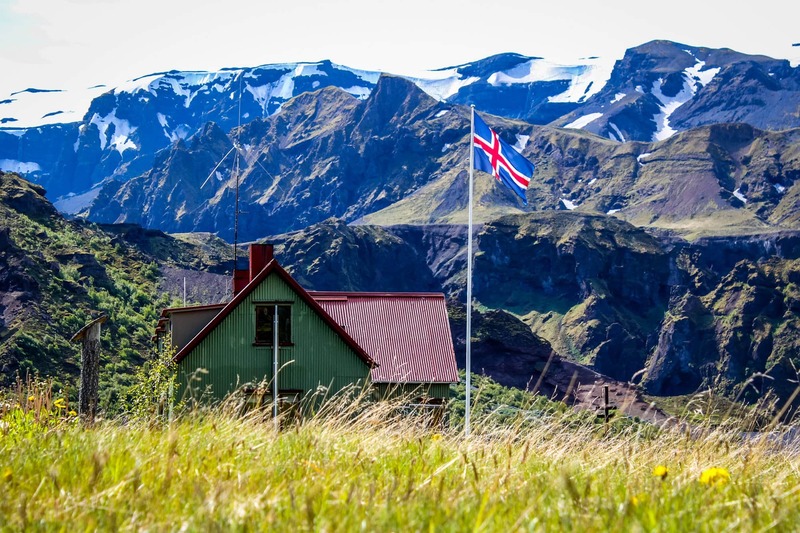 The Langidalur hut is one of the smaller huts in Thórsmörk, so it’s a great choice for those who like a quieter experience with lots of homey charm. The sleeping quarters are spread amongst two rooms downstairs and a spacious loft upstairs, with single bunk bed spaces and double-size mattresses. Langidalur Hut in Iceland. Photo courtesy of trailteam.is. You can cook up a hearty meal in the large, well-equipped kitchen and exchange favorite trail moments with fellow travelers in the communal dining room. As a bonus, the dining room has very large windows looking directly out on the mighty Krossá river. The small onsite store sells basic essentials if you need resupplying (at a price! ), and tidy bathroom facilities are a two-minute walk from the hut. The best thing about the Langidalur hut is the close proximity to a variety of beautiful trails right out the front door. My favorite was Valahnúkur peak which has a great viewpoint over the entire valley and a front-row seat to the Eyjafjallajökull glacier volcano. It last erupted in 2010 and disrupted air travel worldwide, so keep a close eye on it! Roxanne enjoying an uninterrupted view of the Eyjafjallajökull glacier volcano. By hiking the Laugavegur trail! It is also possible to ride the bus from Reyk, however as an outdoor enthusiast, I highly encourage taking the adventurous route. You’ll appreciate the Langidalur Hut so much more after days of hiking! Explore the Langjokull Glacier on this snowmobile and ice cave tour. Experience an Iceland glacier hike on the Sólheimajökull Glacier. This hike is family friendly! Gaze in awe at the northern lights on this viewing tour from Reykjavik. Roxanne is an avid outdoorswoman and frequent female solo traveller. 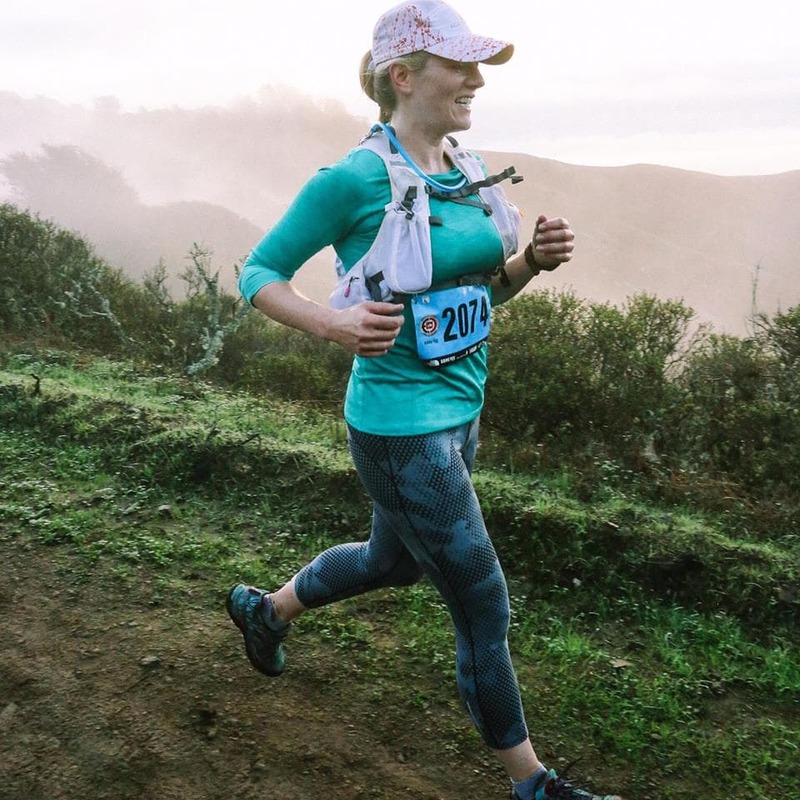 She is also a trail runner and racer and doesn’t mind getting her feet muddy in order to go the distance. She’s currently planning a trip to Switzerland for more outdoor adventures. I cant seem to find out how to book the Langidalur Hut – do they take reservations? If you do the hike please come back and let us know how it went!! 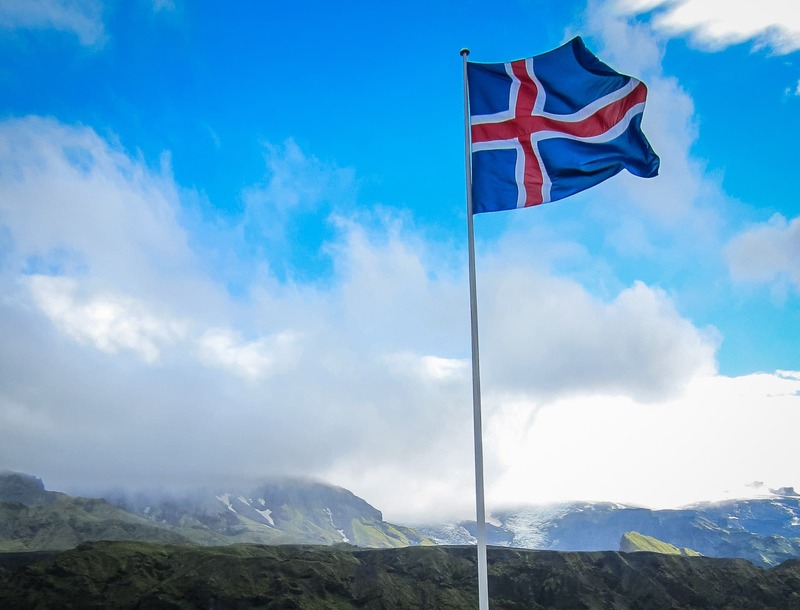 After reading this, Iceland has made it to the top, or very near the top, of my bucket list. Stephen and I did a short hut hike in Norway a very long time ago, and I’d love to do more like it!